If a ship's orbit decays, it can be drawn toward a planet and burn out in its atmosphere. Plays on any ship orbiting a planet. 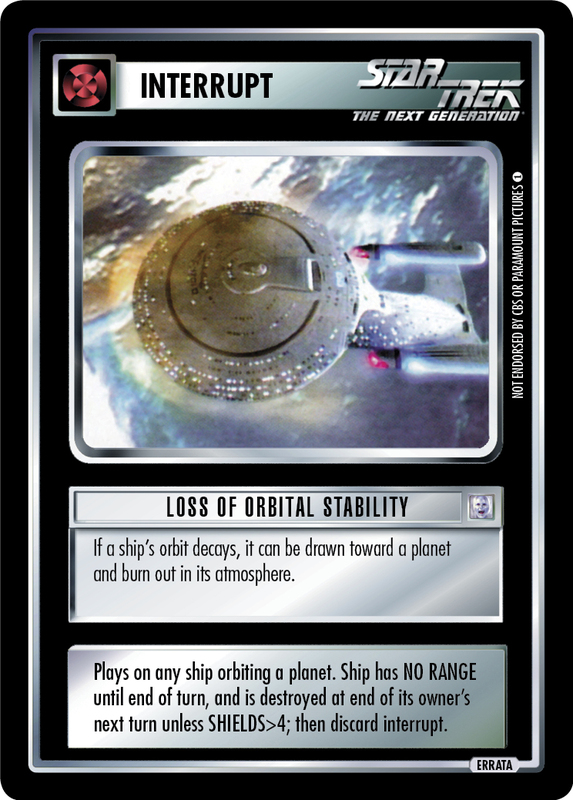 Ship has NO RANGE until end of turn, and is destroyed at end of its owner's next turn unless SHIELDS>4; then discard interrupt.